With plastics raw materials representing 35 percent to more than 60 percent of the Cost of Goods Sold (COGS) at the average plastics processor, identifying the potential for raw materials savings or synergies and quantifying the risks associated with achieving such savings is especially important for Financial Buyers looking to bid competitively against Strategic Buyers that are often more familiar with potential opportunities at a processor and how they might fit with their own operations. Mathelin Bay is composed of senior executives from billion dollar public plastics processors who are knowledgeable of a wide range of processing technologies and raw materials and can help you to compete, whether you are a middle market private equity company presented with an opportunity in the plastics industry or if you are a plastics processor considering an acquisition of another plastics processor outside your core area of plastics raw materials or plastics processing technology expertise. In today’s hyper-competitive world of lofty EBITDA multiples and crowded seller auctions that present potential bidders with short deadlines for initial bids you don’t have to stress over being able to quickly put together a new, plastics knowledgeable team on an ad hoc basis every time an opportunity in the plastics processing industry is presented to you. Our team’s broad plastics industry expertise can be quickly at your service and up to speed in time to meet even the tightest due diligence and exclusivity period deadlines. More importantly than speed, you want to be sure that the representations the target company is making in the critical plastics raw material area are thoroughly vetted. And while it should come as no surprise that target company representations can sometimes be overstated to the benefit of the seller, in our experience there are sometimes upsides that the seller has not identified and which can help give a knowledgeable bidder an edge over other bidders that have not identified the same upside plastics raw materials opportunities. With the enormous amounts of capital available for investment and a wide range of potential bidders, financial and strategic, domestic and international, it can be frustrating not to be successful in multiple bids over a long period of time and to start to believe that your firm will never find a unicorn, or at least never find an exclusive without an auction in the plastics industry. Mathelin Bay’s plastic industry network can facilitate your ability to more quickly understand new markets and meet prospective plastics processor candidates. One of the key decisions following the acquisition of a plastics processor, especially by a strategic buyer that may have little in the way of in-house plastics expertise, is who will be responsible for managing the company and how much deference to grant to existing management when it comes to day to day operations. One common model is to have a senior executive at a private equity company take over the CEO role, or alternately to take less of a hands-on role by serving as the primary contact for financial reporting and capital requests while leaving the existing management structure largely in place. In our experience, taking a hands-off approach at a plastics processor can lead to many missed opportunities and even some potentially dangerous risks. Among missed opportunities are potential cost savings programs that are not pursued because management does not have the expertise to bring them to fruition or because ownership does not have the expertise to challenge technically phrased objections from management to pursuing them. Concrete dangers that we have seen include inadequate or nonexistent preventative maintenance programs due to existing management not prioritizing them—with the result that serious workplace injuries or fatalities and multimillion dollar fines or lawsuits are just one accident away. 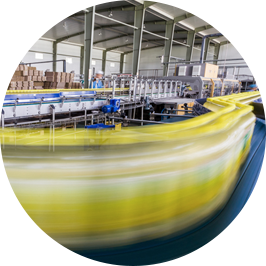 For creditors, such as mezzanine lenders, loan covenants specifying a certain level of raw materials savings can be hard to separate from overall plastics market price moves. And raw materials savings loan covenants based on promised plastics processing changes or raw materials substitutions can be even harder to assess without expert plastics industry auditing assistance. Holding periods for private equity investments in the plastics industry are similar to other industries and are normally in a median range of three to five years. Given such time horizons it is best to lock in cost savings and profit improvement programs as early as possible following an acquisition. Ideally, if a cost savings program can be achieved at least two full years prior to the anticipated exit date, there is likely to be much less arguing with potential buyers over what constitutes the cost saving program’s contribution to sustainable EBITDA. The same logic applies to other plastics companies, including family owned businesses contemplating the sale of their companies: the sooner plastics raw materials and other savings can be incorporated into the income statement the more credible EBITDA representations will be to potential buyers and the higher the eventual sales price.